Email service provider MailPlus recently rolled out a renewed campaign manager module. Through the MailPlus Campaign Manager, marketers can send targeted and automated email campaigns. 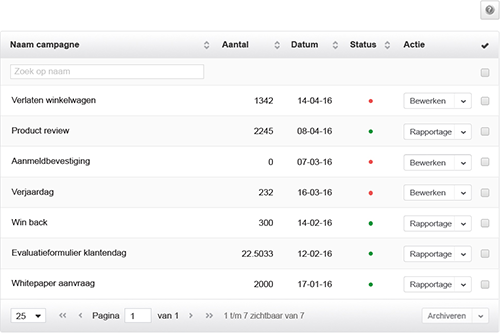 The new campaign manager of the Dutch email service provider MailPlus, is partly optimised and offers more functionality in terms of design, campaign flow, more control of the campaigns and real-time reporting. The Campaign Manager is currently available to all MailPlus MarCom Campaigns and eCom Enterprise users. In the new module an “actions” dropdown is added. From the campaign overview the dropdown gives direct access to all functionalities per campaign; edit, view, delete and reporting. Through a pop-up in the same overview, a preview of the campaign flow is available, making it easier to find the triggered email campaign you were looking for. 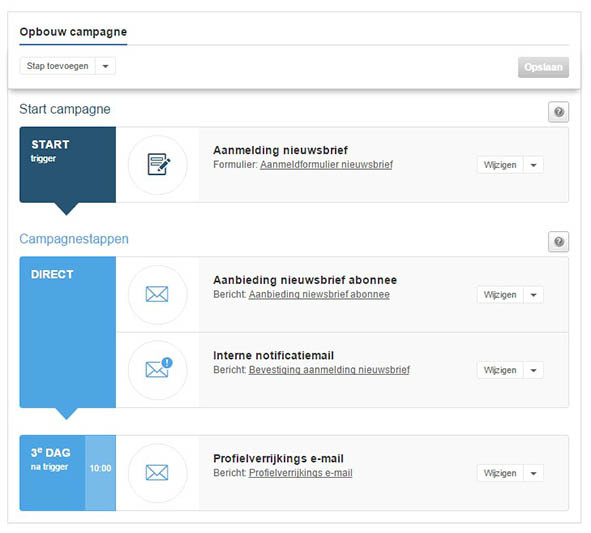 In the new MailPlus Campaign Manager, each campaign is shown in one flow, from top to bottom. The distinction between triggers and campaign steps are indicated through use of different colours. Besides dynamic triggering, it is also possible to start campaign steps based on fixed dates. For instance to use in event driven campaigns, like sending a description, reminder mail or evaluation form. The Campaign Manager has added checks, to make sure the campaigns are carried out correctly. On a change or edit of a campaign, all elements will be checked for availability. If they aren’t available anymore, a pop-up will appear listing the missing elements. The new Campaign Manager reporting view shows the number of times an email campaign has been completed in real-time. Marketers can also see which contacts are still active in the campaign and which aren’t. For the steps still left in the campaign, the number of contacts is shown that are still to receive them. The new Campaign Manager is currently available to all MailPlus MarCom Campaigns and eCom Enterprise users. MailPlus is a self-service email marketing provider. The platform lets you to manage newsletters, surveys and multi-channel marketing campaigns.